This is the 5th video from Stage10 about Toshiki Yoshioka and his GTNET TOMEI Subaru BRZ build for Formula Drift and Pikes Peak. In this video the final assembly is done and car is started up for the first time. Enjoy! Subaru BRZ pushing out 1600hp testing on dragstrip. This car will be featured in "Born To Race: FAST TRACK" movie. 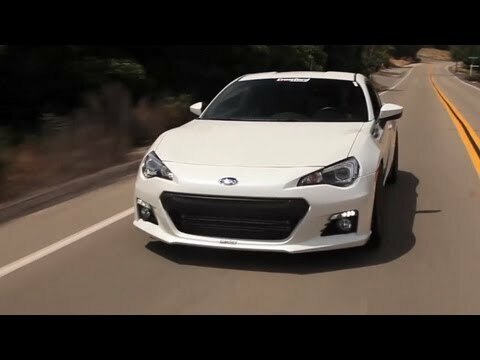 Matt Farah of TUNED takes Crawford Performance turbo BRZ out for a test drive to give it some real world thrashing! When he came back with the car, the first thing out of his mouth was "Now I gotta buy one of these!" Ahmed Al Ameri led the Toyota Emirates Drifting Team (Toyota EDT) to its 2nd podium finish in a row by clinching 2nd place at Drift UAE’s Round 4, held at the Dubai Autodrome on 9 March. Al Ameri powered his way to the podium with an amazing display of drifting poise and prowess that entertained drifting fans. This is the 2nd podium finish for Toyota EDT this season with their new Toyota 86. Another D1GP driver has switched to Toyota 86 as the platform for drift car. Joining Max Orido, Hibino, Taniguchi and NomuKen, it is no other than 2011 D1 champion Yoichi Imamura! Car is built by OTG Motorsports club and features turbocharged 2.5 engine swap with sequential transmission. Check out build photos in forum build thread! Taniguchi takes his D1GP spec 86 to Tsukuba Circuit to test new Yokohama AD08R tires. Enjoy great video! 2013 Super GT series is just around the corner, 6th of april to be precise. First round will take place this weekend at Okayama International Circuit. Legends Max Orido and Nob Taniguchi both driving Toyota 86 at D1 Grand Prix drive different cars in Super GT. So in Super GT we will be cheering for no other than the R&D Sport team with their GT300 Subaru BRZ driven by our friend Tetsuya Yamano and Kota Sasaki. Formula Drift first round is just around the corner - April 12. Scion Racing will be running the FT86 platform for both Ken Gushi and Tony Angelo with two different Scion FR-S builds. Last year FRS was a cool thing and Ken Gushi did it first, but this year some new meat is needed to bring attention and have fans cheering. Toshiki Yoshioka took the BRZ as the base car to be a little different, but his story isnt just straight forward as in most FD teams. Read further to see how it all came together and "Yoshioka Racing" team was born! This is Scion FR-S for Tony Angelo to drive in Formula Drift in 2013 season! The guys at R/T Tuning shot out a release about their partnership with Tony Angelo for the new Formula Drift season. Tony’s FRS will be powered by a turbocharged 2AZ-FE engine with nitrous to be competitive in the new season. The guys over at R/T Tuning will be offering Tony Angelo vehicle setup, tuning, and track support for the new year.